The input key has to be programmed in on every Directv remote. 2. Press and hold MUTE & SELECT, wait for two blinks and release. Turn on your SONY TV and DirecTV box. 1. Press “Menu” on your remote. 3. Pick “Remote” and select the option to program it. 4. Slide the switch on top of your remote control to “TV” mode. 5. Press and hold “Mute.” Press the “Select” button until the light on your remote flashes. 6. Press the code numbers on the number pad of your remote. 7. The light should flash on your remote. 8. Press the button to move the channel up, while pointing the remote at your SONY television. 9. The set will power down when you find the correct code. Need help with remote codes? Please leave a comment below. I used a universal remote with my sony Bravia tv and it worked. But after a month it stopped working. I lost the 3-digit code and none if the codes above is working. Can you help me with the right code? Thanks. I have 2 of the same “old” televisions (Sony WEGA FD Trinitron – Model KV-32FS120). Can I somehow program the remote (RM-Y195) from the tv that doesn’t work for the tv that does work? How? My manual does not have a code listed in it. Just the Model & Serial numbers. Thanks in advance. I need the codes for Sony trinitron TV and the remote is RCA 804bfdr. 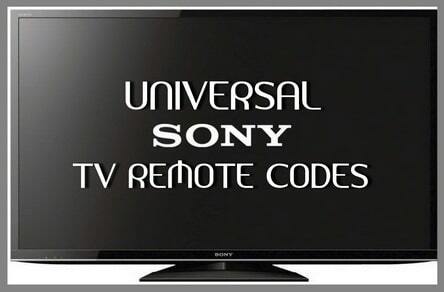 Sony TV remote codes with Philips Remote = 0414, 0902, 0801, 0708, 0639.